We invite you to explore our extraordinary collection of unique, handcrafted, luxuriously soft, cuddly, and interactive plush animals. The HANSA brand is internationally recognized for our "true to life" reproductions of the world’s best-loved animals, created by the legendary, skilled artisans in our socially and environmentally responsible HANSA Studio. HANSA CREATION takes great pride in each enchanting work of soft sculpture art, carefully designed to educate, fascinate, captivate and inspire creative play for collectors of all ages. 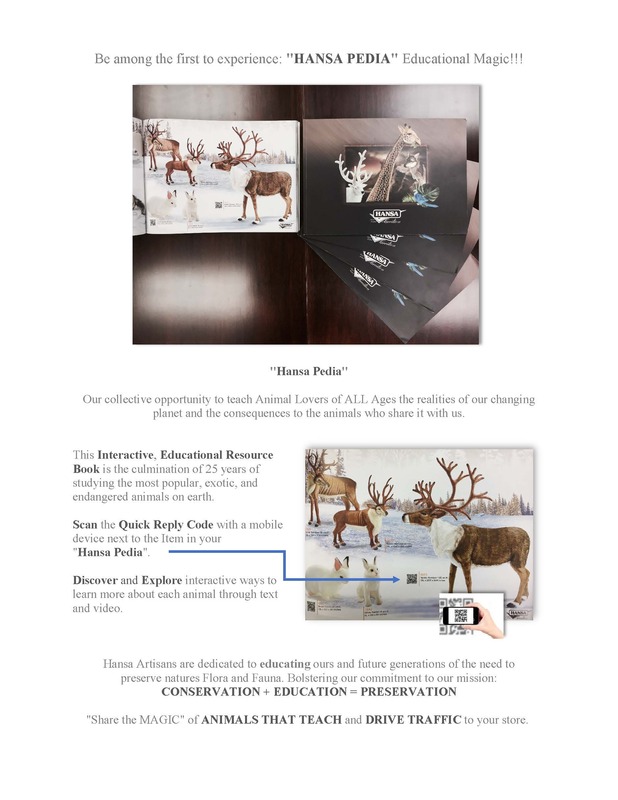 It is HANSA's uncompromising integrity in design and quality standards that has charmed collectors for generations and continues to mesmerize new collectors of all ages. We invite you to take a closer look at our collections. You too will then be asking.. Is it Real.. Or is it HANSA.